We are here to offer a totally honest, unique and personalised 24/7 recruitment service to both clients and candidates as we are genuinely motivated and excited by keeping ahead of the local competition. First class customer service and careful relationship building hasn’t happened over night! With more than 20 years of corporate and independent recruitment experience, we are the ‘people’s favourite’. We know the market and are confident in our abilities. We don’t just talk a good game, as you’ll experience for yourself by getting in touch. We take great pleasure in personalising a professional niche service specialising in Human Resources recruitment. We are experts in competitively sourcing and providing available HR talent for generalist as well as specialist roles, often with an emphasis on Employee Relations, Business Partnering, Recruitment/Resourcing, special HR Project work, Strategic HR Support, Recognition & Reward, Outplacement and Job Evaluation, for example. We regularly sponsor and work very closely with the local CIPD branches and actively welcome enquiries and registrations from current CIPD studiers to CIPD graduates, members or experienced fellows, as we have an extensive selection of exciting permanent and interim opportunities to satisfy all requirements. Within the Training Sector we can also assist with specialist Learning & Development vacancies or opportunities where stand-up delivery and evaluation are key requirements. We also work closely with Health & Safety clients in an increasingly popular market, often for NEBOSH and IOSH qualified candidates seeking their next role. In addition, Human Resourcing has launched a busy Occupational Health arm to the business reacting to continued client demand. We genuinely pride ourselves on meeting as many candidates in person as possible whilst listening to our client’s recruitment needs and concerns, before tailoring a bespoke 24/7 service within budget and on time. Vacancies registered on an exclusive basis often present a more cost-effective and efficient method of optimising top emerging talent and attracting only the best to your recruitment campaign. Our established market-leading reputation within South Wales encourages candidates to view our website as one of their key recruitment tools when searching for new opportunities in this area. All clients are guaranteed that in addition to local networking, their vacancies will be prioritized and profiled nationally to attract the highest quality shortlist at all times. For further information please speak to Mera Mann direct. We are delighted to regularly draw on expert advice and opinion by promoting quarterly Breakfast Seminars. 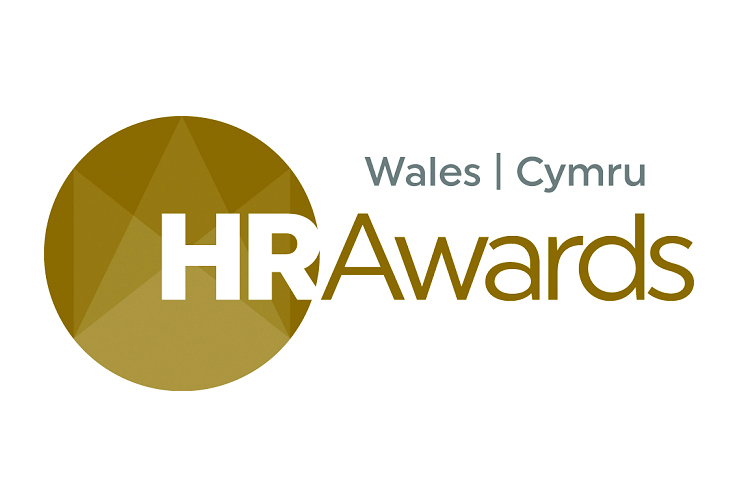 Often hosted in conjunction with other leading organisations across South Wales, they deliver current, up-to-date HR information on a wide range of ‘hot topics’, often client led. Employment Law updates continue to be hugely popular and allow us to put ‘a face to the name’ throughout the year. You are one of the most professional resourcing practitioners I have worked with. I, as a candidate feel acknowledged and informed, I feel completely understood and with every interaction, you have made me feel comfortable and that you care for me as much as the client. Thank you for your rare authenticity. In my experiences with recruitment consultants, I have never worked with someone who is truly dedicated to supporting the candidate as much as you. You have been and are continuing to be a huge support to my relocation and I hope that regardless of what role I end up in, we can stay connected. I am very happy that you are helping me on my journey to find the right role. A lot of the bigger recruitment agencies could learn from your approach. The time you dedicate to understanding the needs of your clients Mera, and how you align these to candidate attributes plus their own aspirations is truly exceptional & proven. Well deserved praise. Mera recruited me to the role of Head of Recruitment at ABP. She is undoubtedly one of the more authentic and professional recruiters I have worked with. I asked Mera to help me recruit a new team based in Cardiff in a relatively short space of time. As a campaign this was delivered perfectly. I had a very difficult choice from a highly talented and diverse candidate pool, from which we appointed a great team in the (very challenging) timescales we agreed. I cannot recommend Mera highly enough. Mera is like a breath of fresh air and has supported me with a number of vacancies at the Wales Millennium Centre over the years. She takes the time out to truly understand the business and its requirements and delivers by introducing high calibre candidates with the skills and culture fit required, as well as offering professional recruitment advice along the way. During my job search, not only did I find that many recruiters were not prepared to invest time to meet with me personally, but also had not taken time to understand the client, the business and the culture of the organisation. Mera, was the exception. Mera was dedicated to understanding my needs and matching my talent to the vacancy. Mera was always able to define the role, business and importantly culture to enable my decisions. Mera provided honest, open, timely feedback, taking time to personally invest in a successful placement. I would have no hesitation in recommending Mera in the future. The personal service and support that I have received from Mera in my quest to secure a job has been outstanding. I cannot thank you enough. To think we met on Monday and have a job by Friday is incredible! I’m so excited about this opportunity. Thanks Mera. You go beyond the agency/recruitment level and really focus on your candidates as individuals. It's so refreshing and is what sets you head and shoulders above the rest. I’ve never been overly impressed with agencies (cold and rigid) but will happily recommend you to anyone!